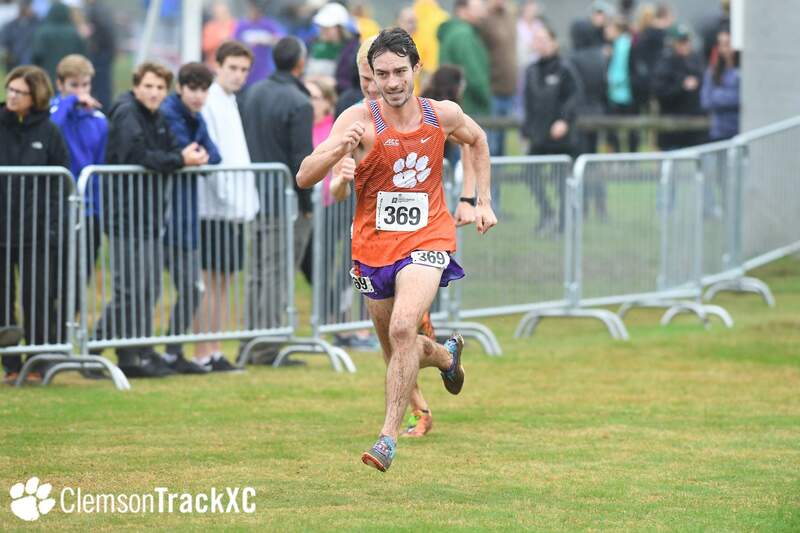 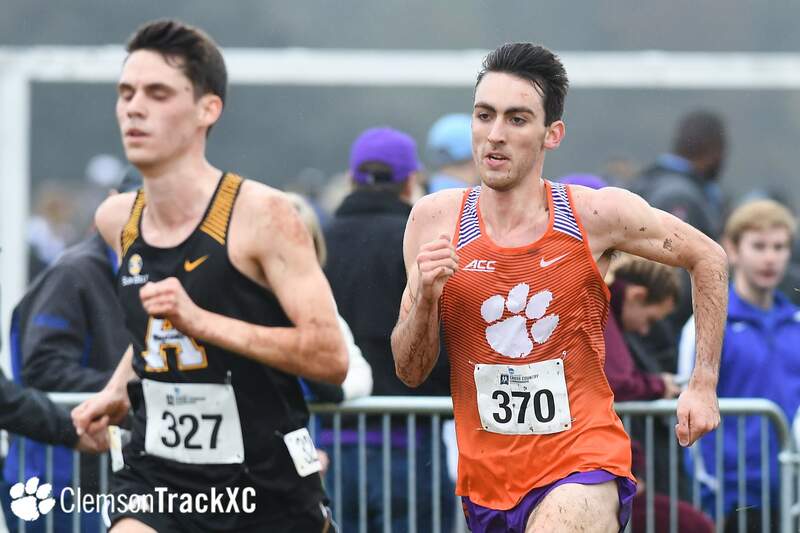 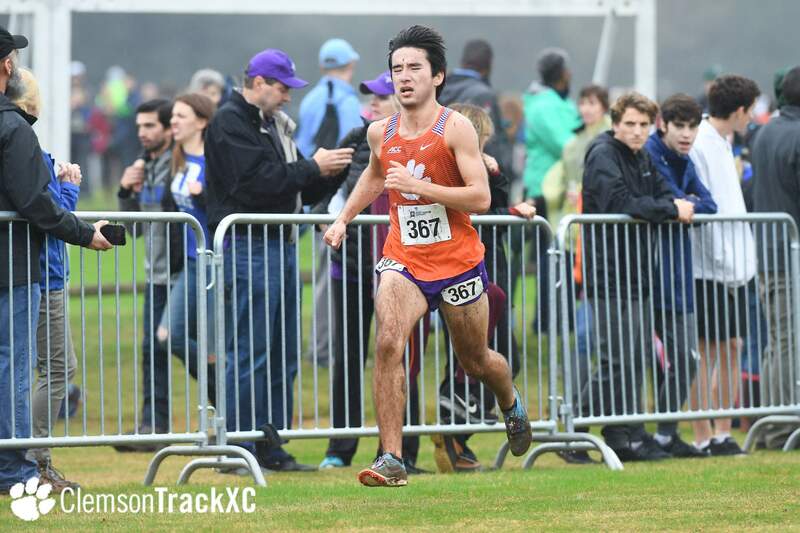 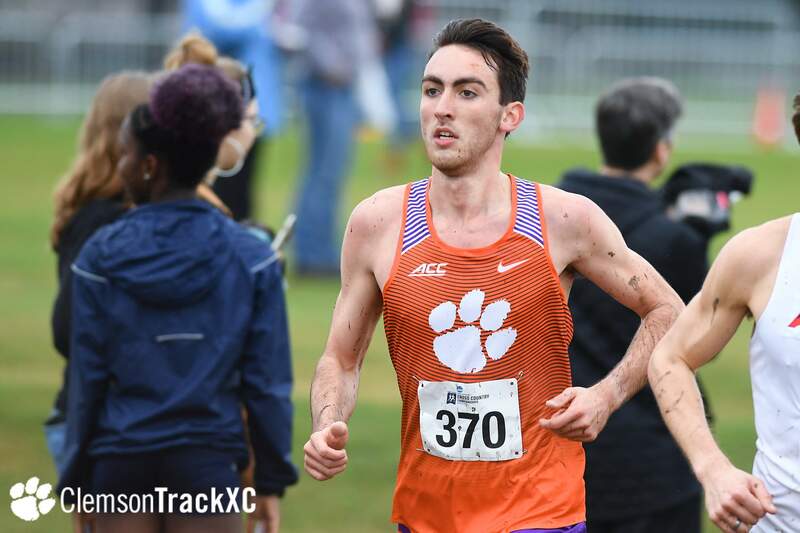 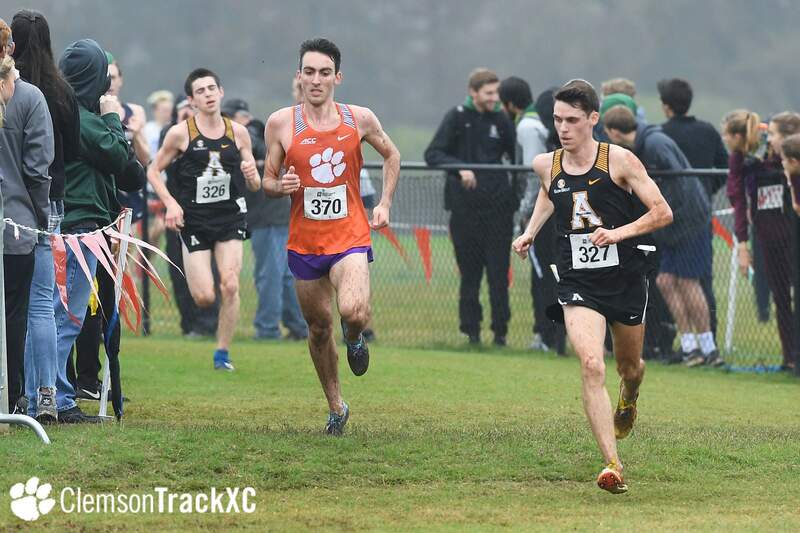 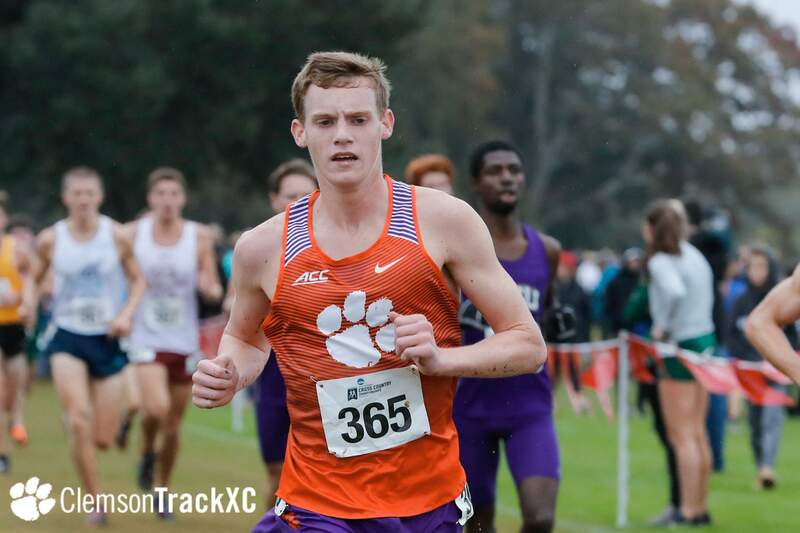 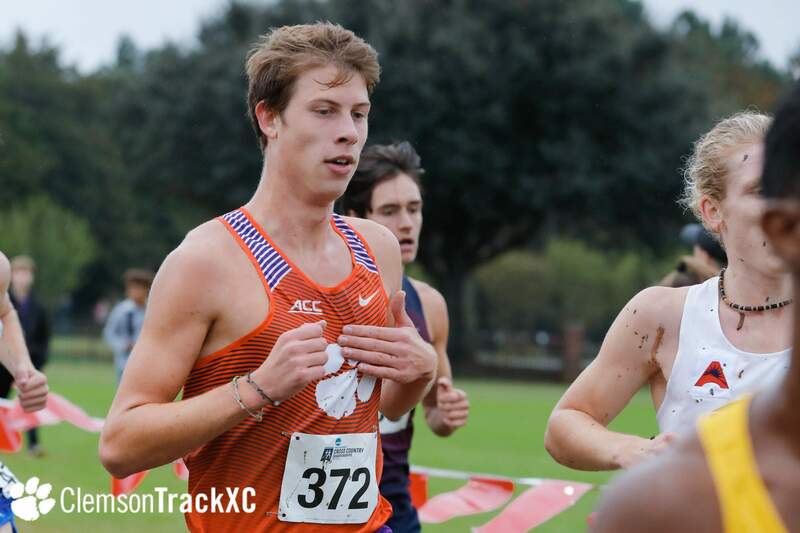 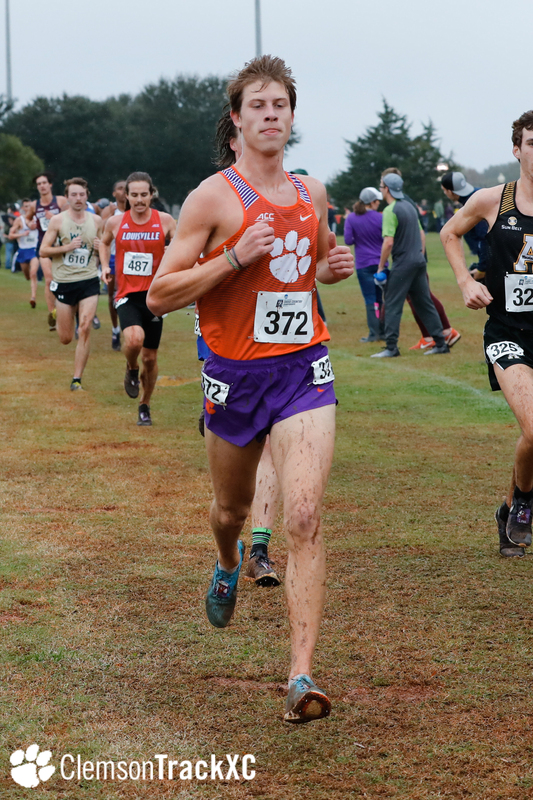 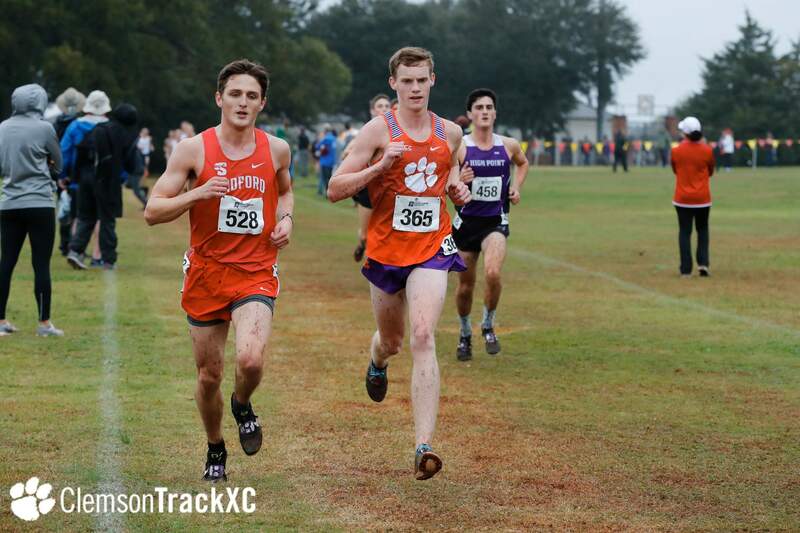 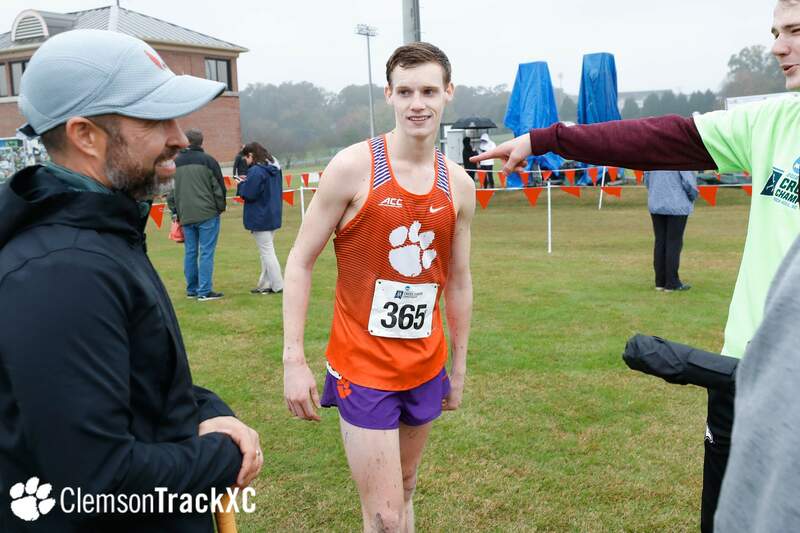 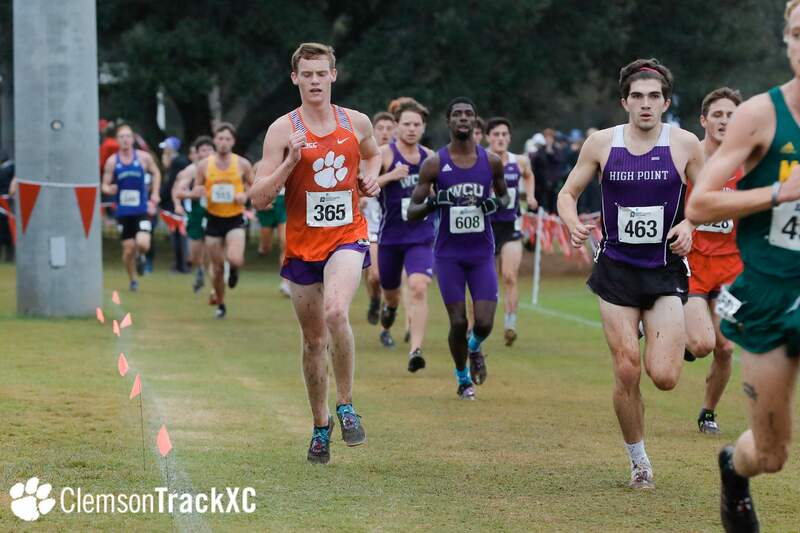 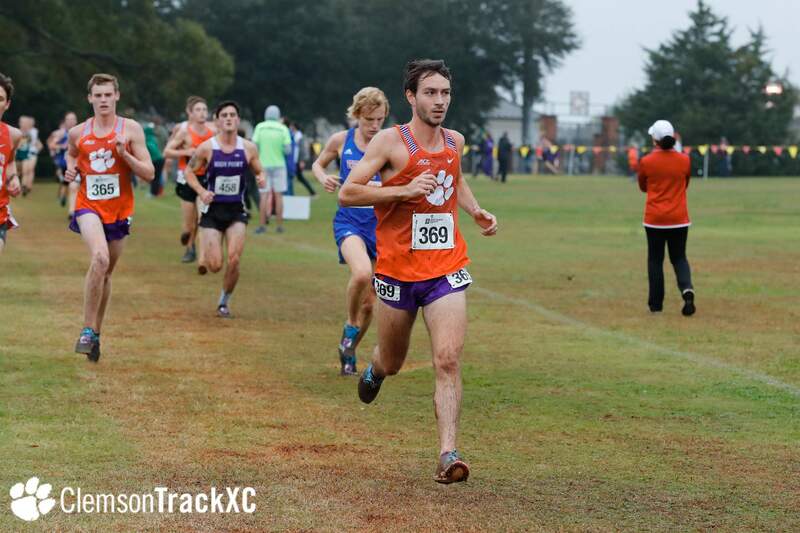 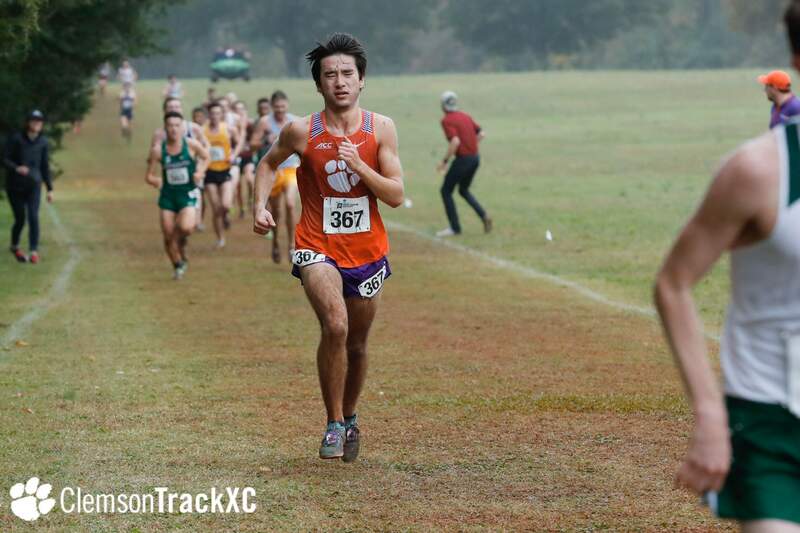 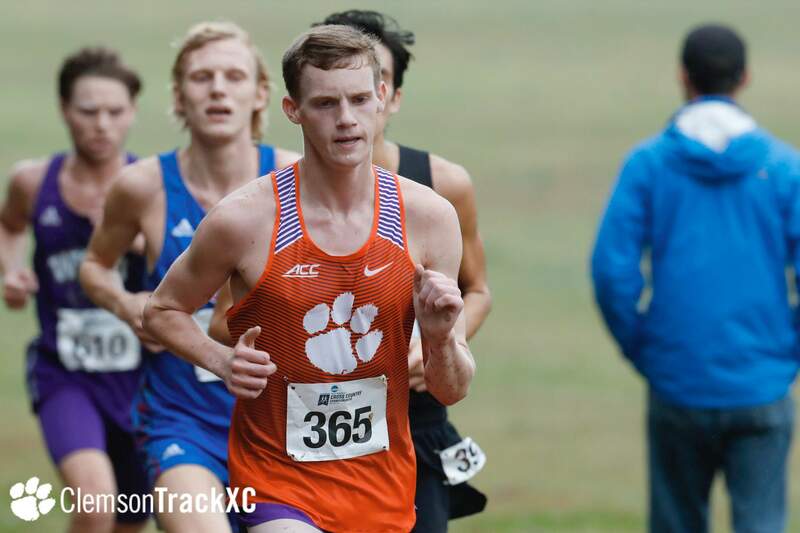 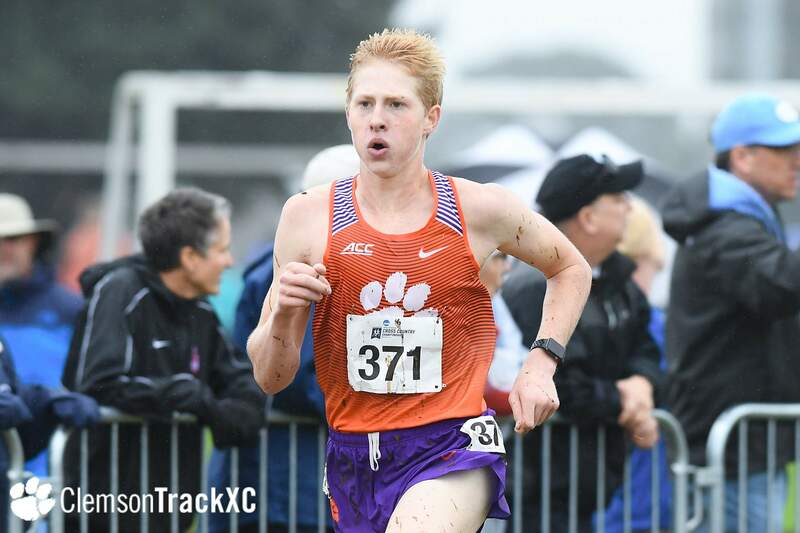 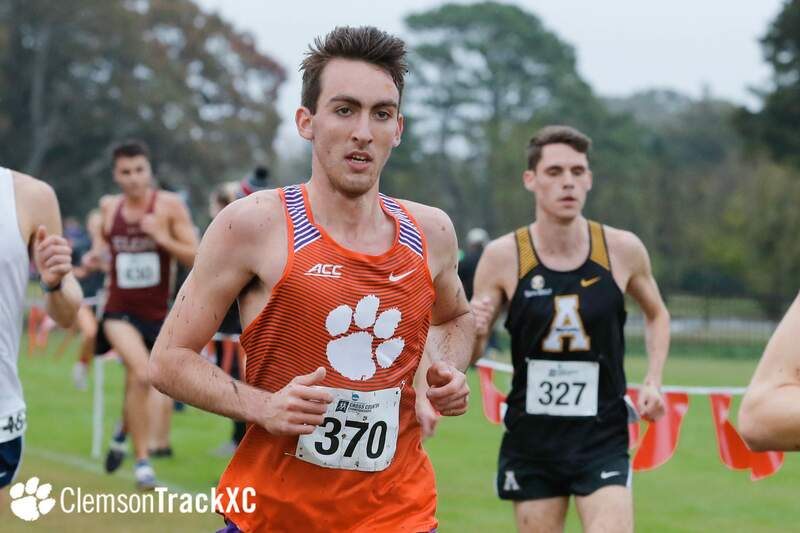 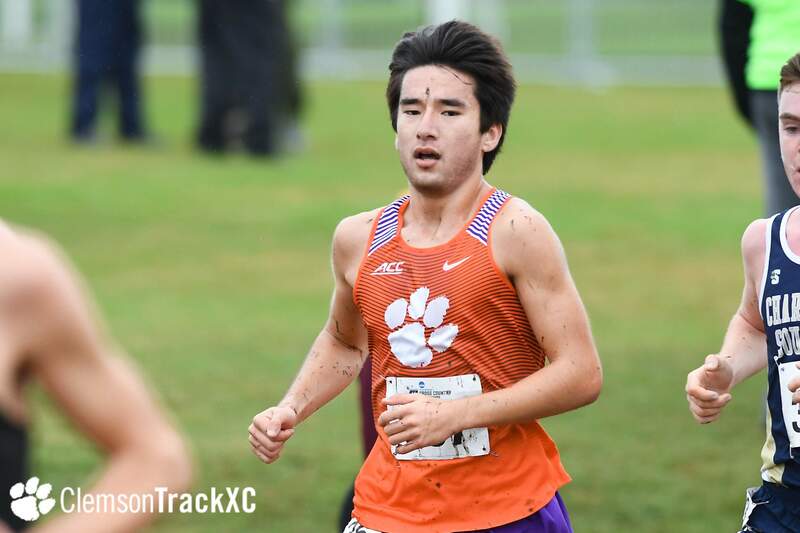 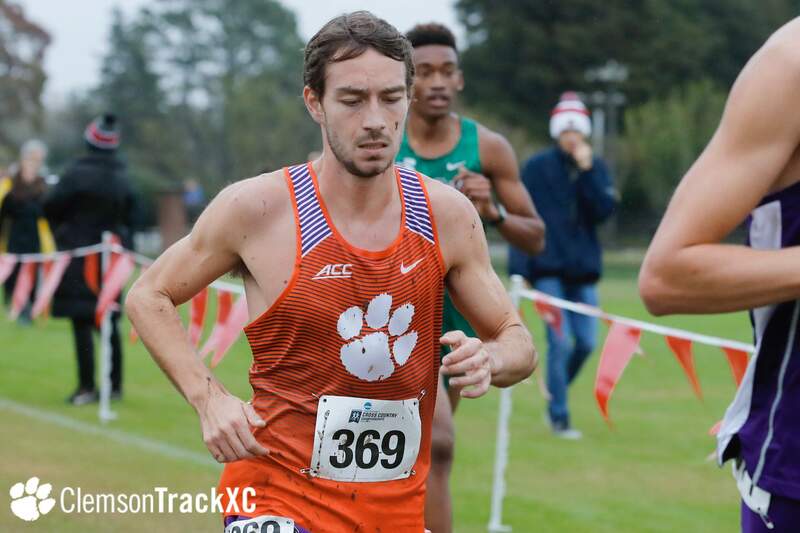 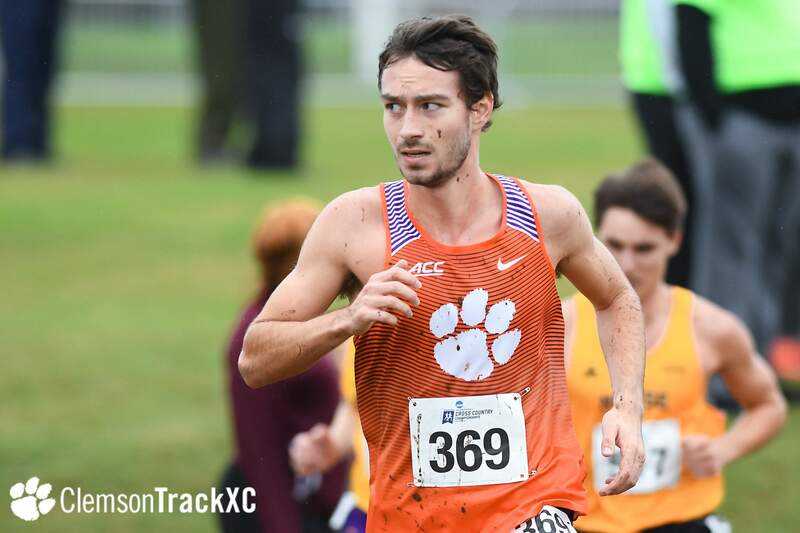 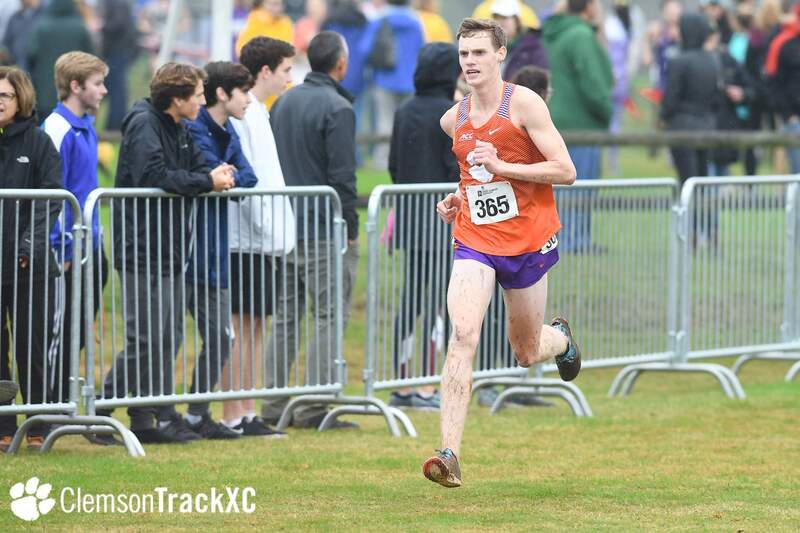 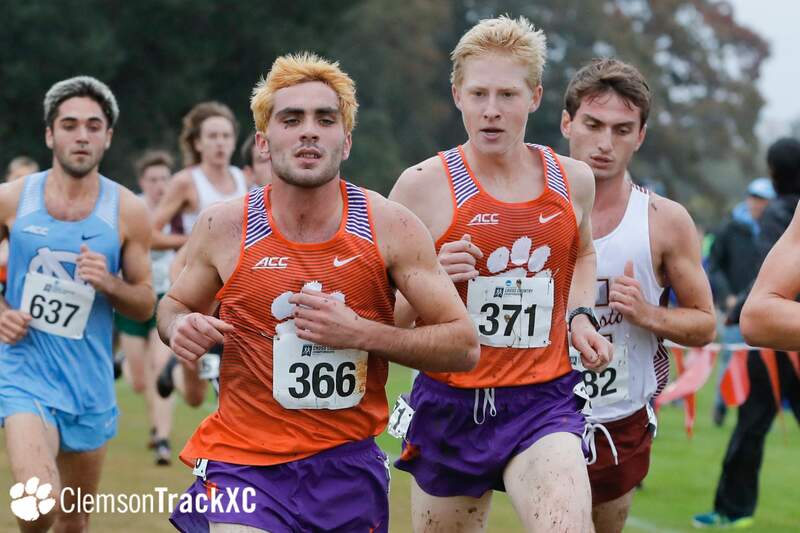 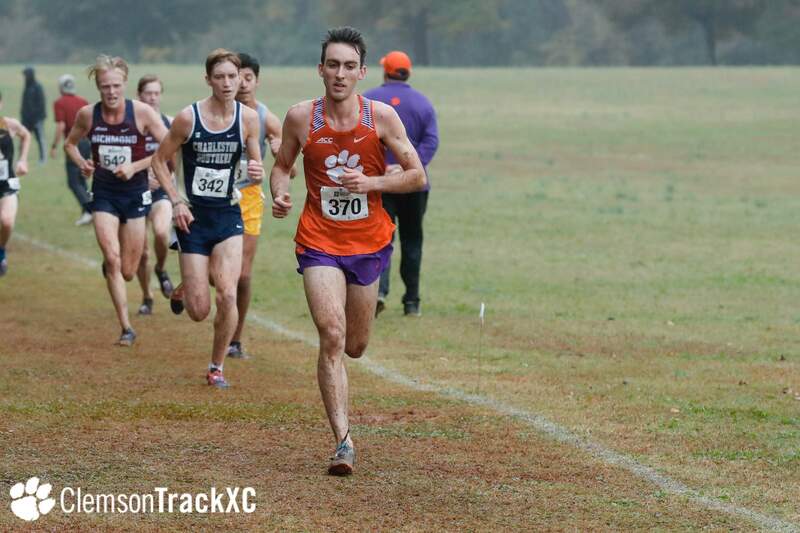 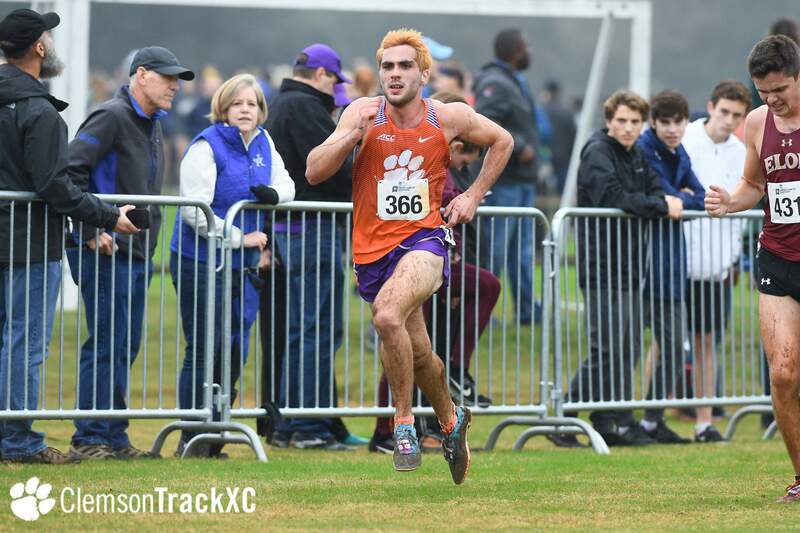 ROCK HILL, S.C. – With a personal best time of 20:01.4 and sixth-place individual finish at the 2018 NCAA Southeast Regional meet, sophomore Logan Morris qualified for the 2018 NCAA Cross Country Championships Friday afternoon at the Winthrop Coliseum and Farm course in Rock Hill, South Carolina. 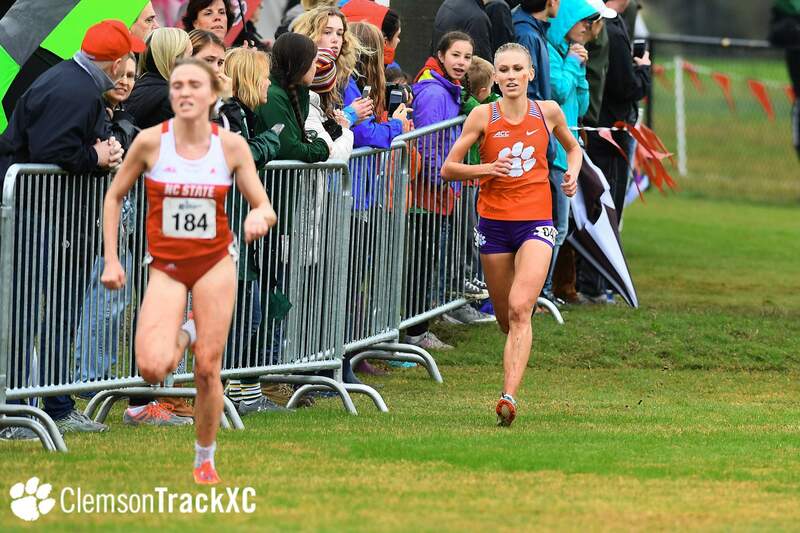 The national championship meet is set to commence Saturday, Nov. 17 in Madison, Wisconsin. 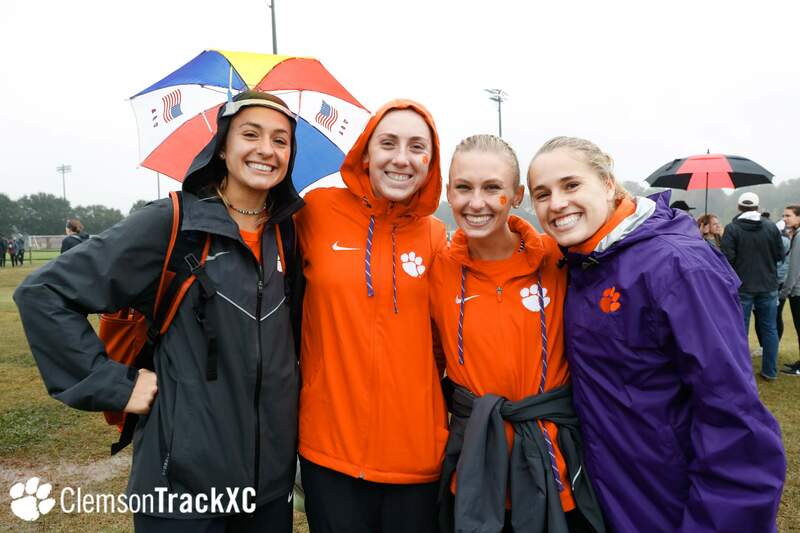 Including Morris, four of the five women’s scorers achieved personal bests to propel the Tigers to their best regional finish since 2012. 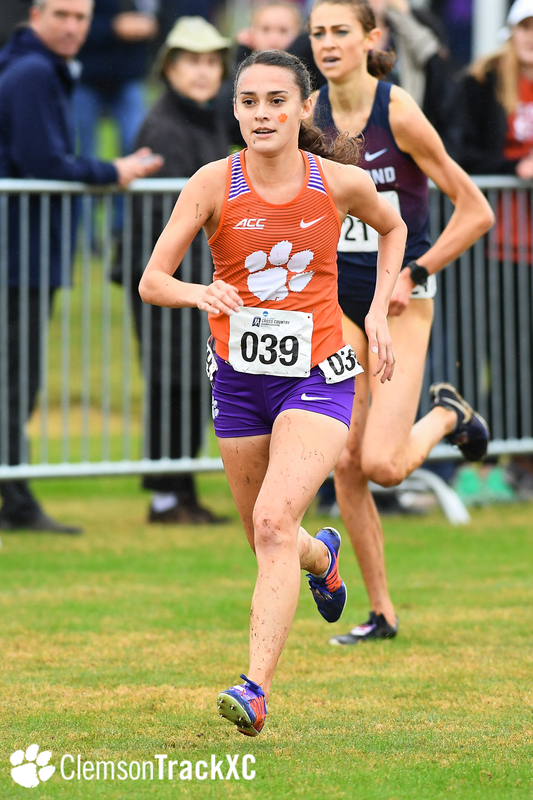 Morris becomes the 22nd All-Region recipient in program history after placing in the top-25 at Saturday’s race, following in the footsteps of former teammate Grace Barnett, who achieved in the honor in 2016. 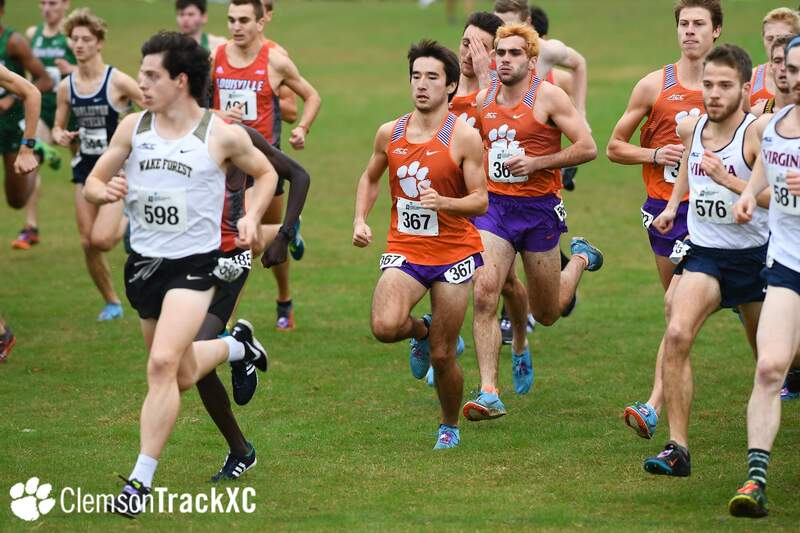 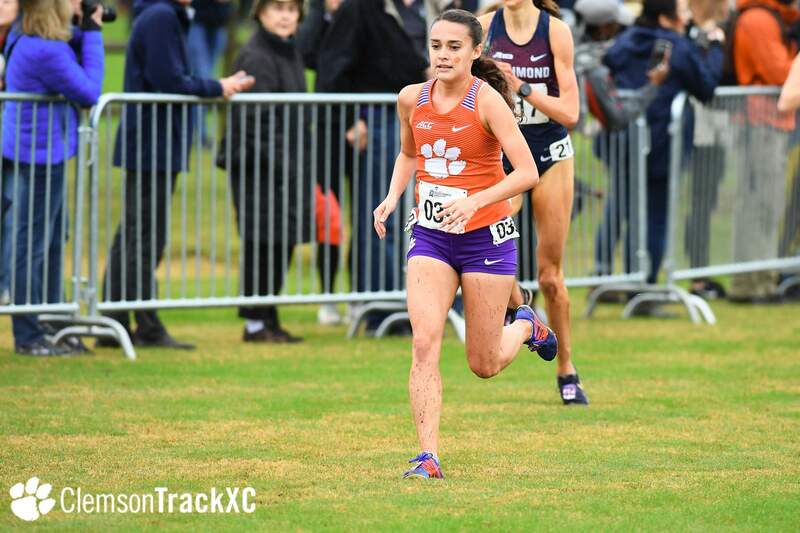 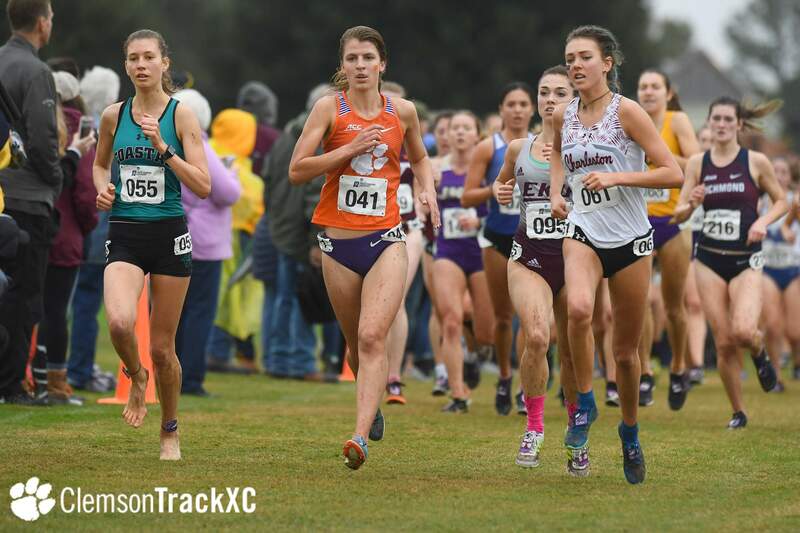 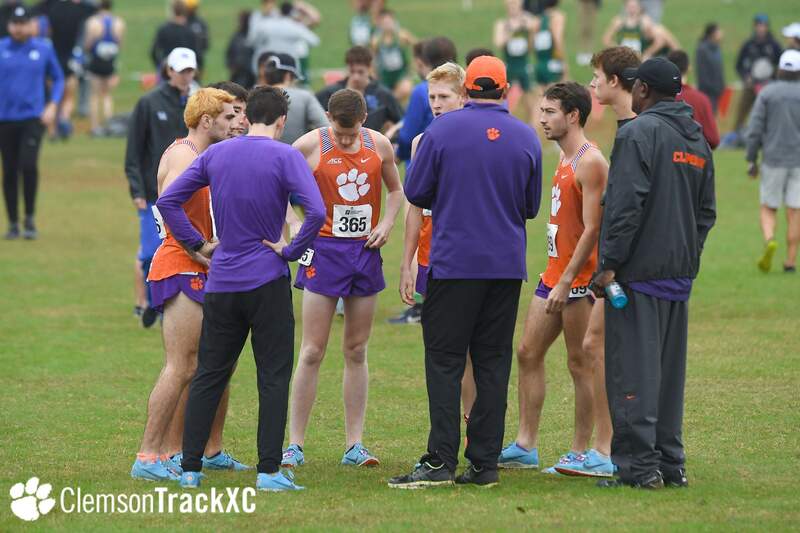 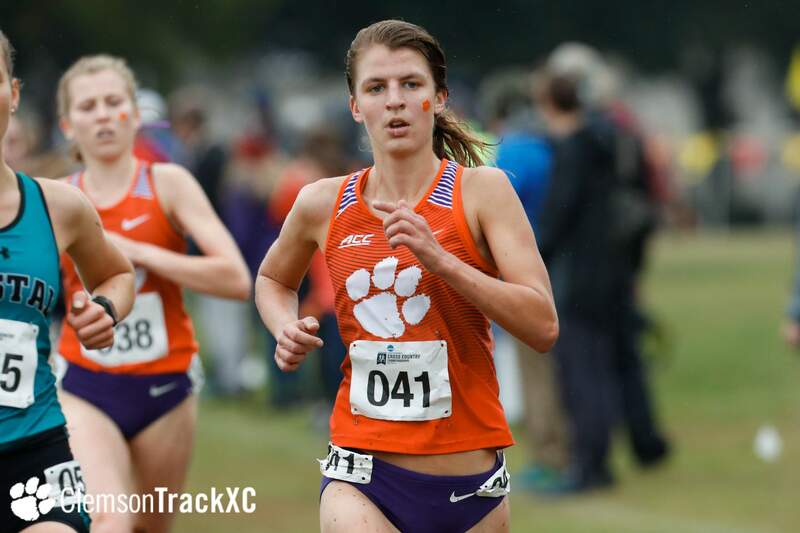 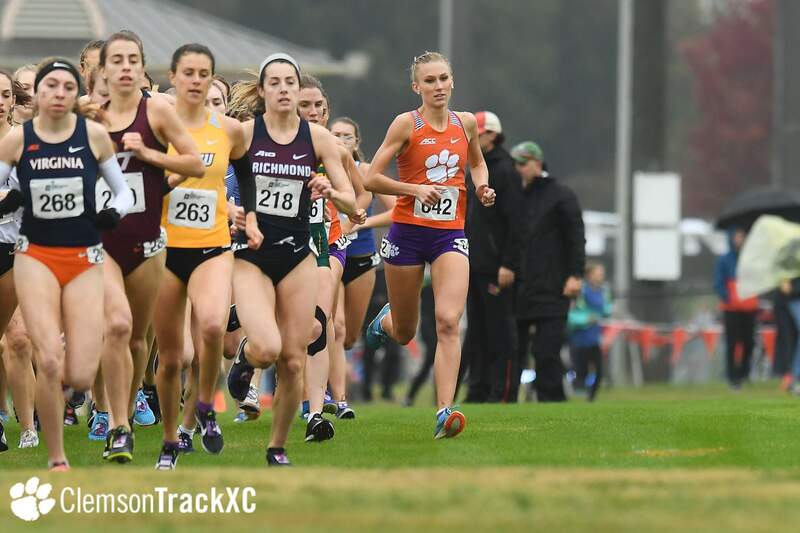 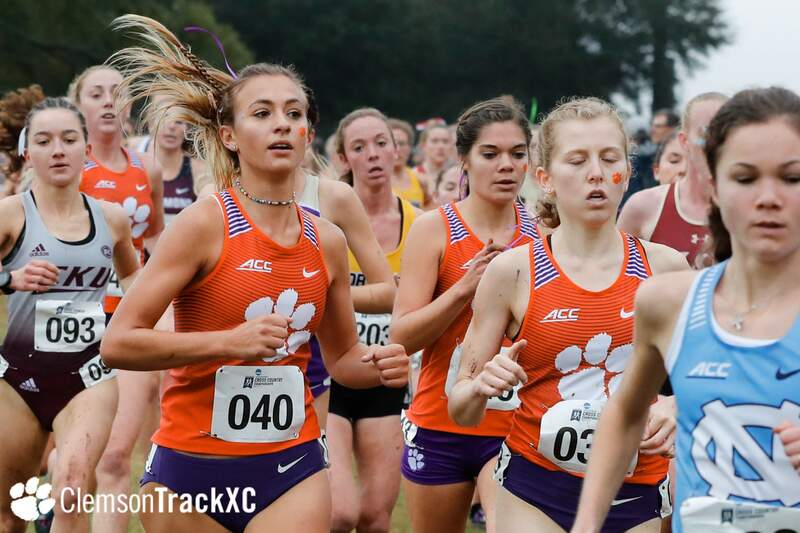 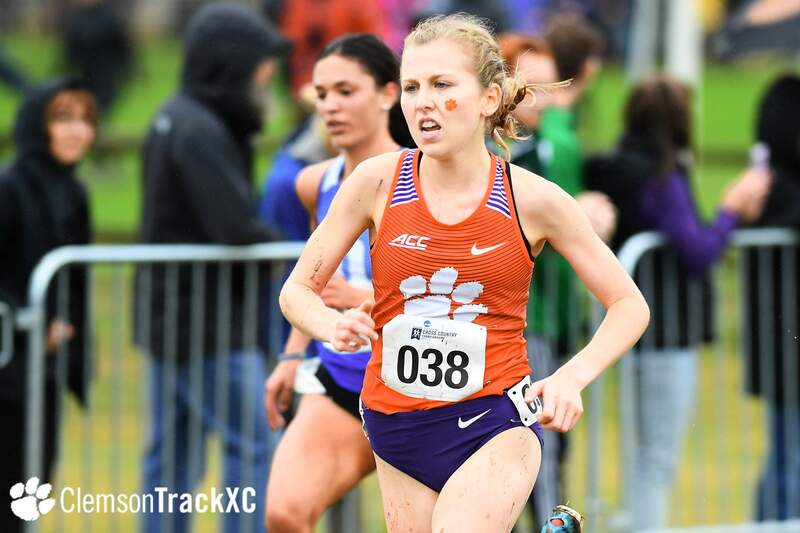 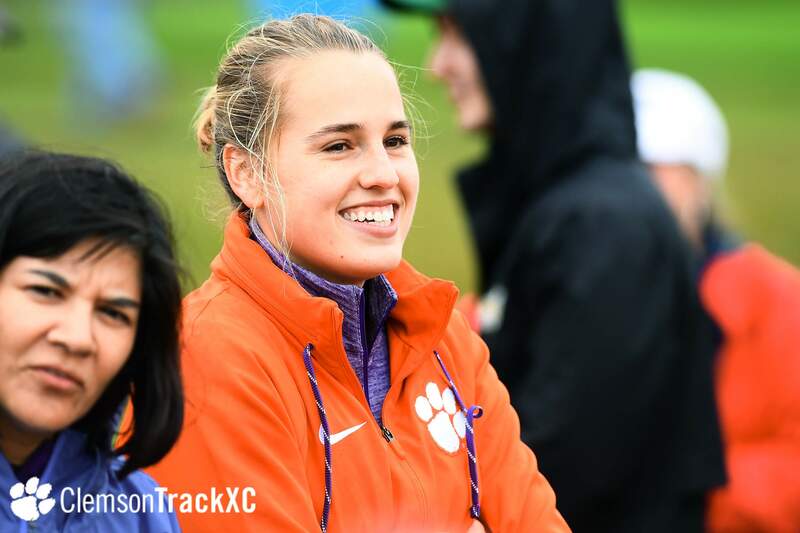 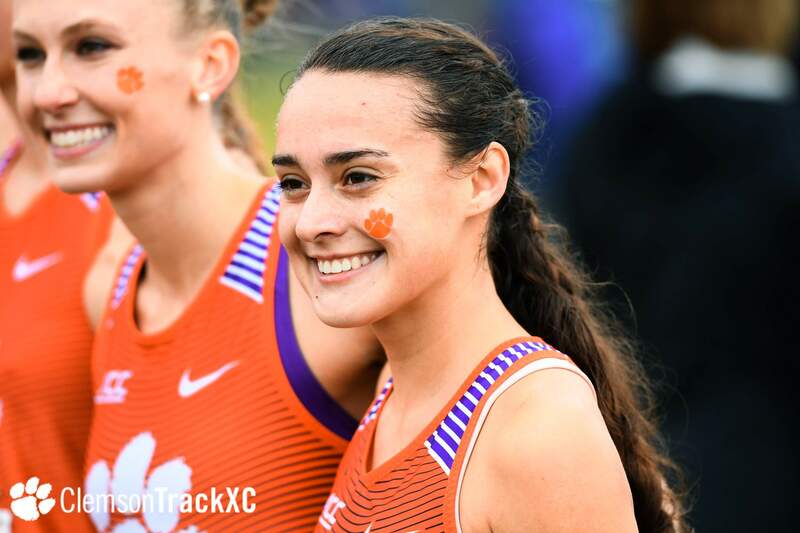 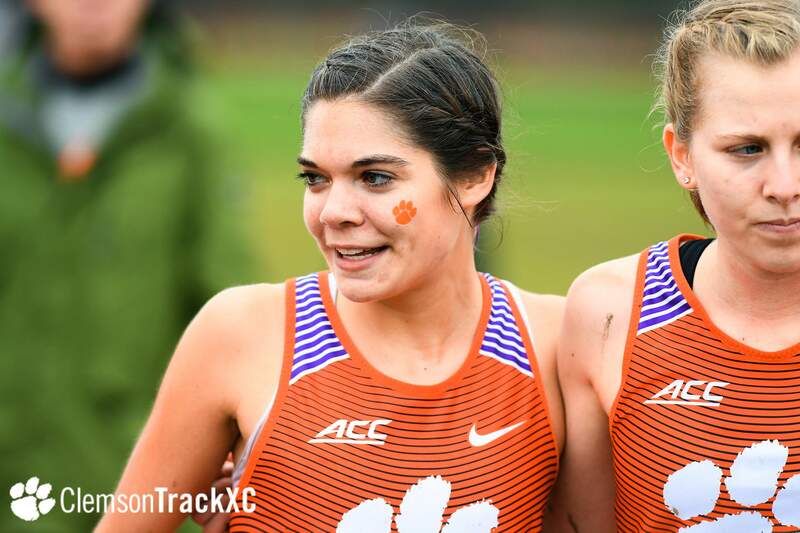 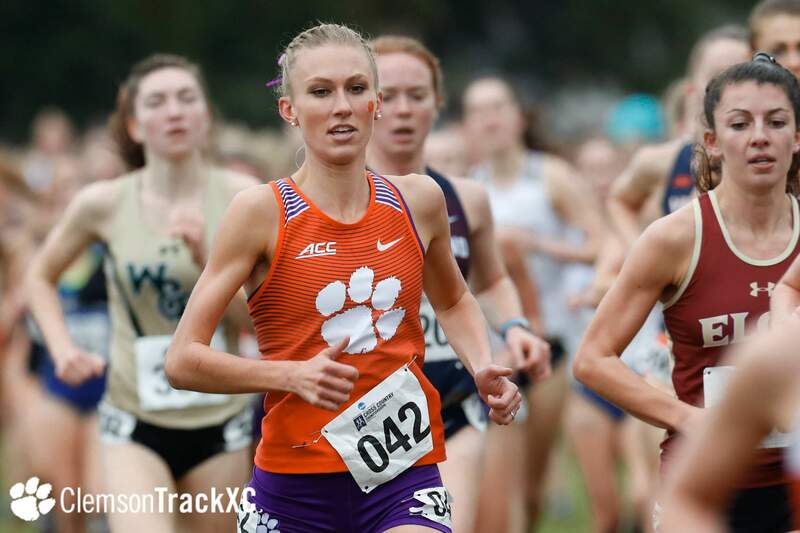 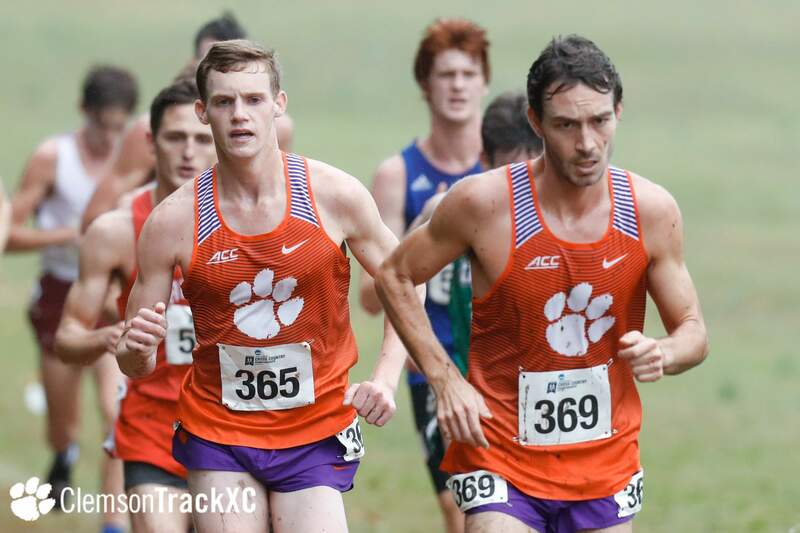 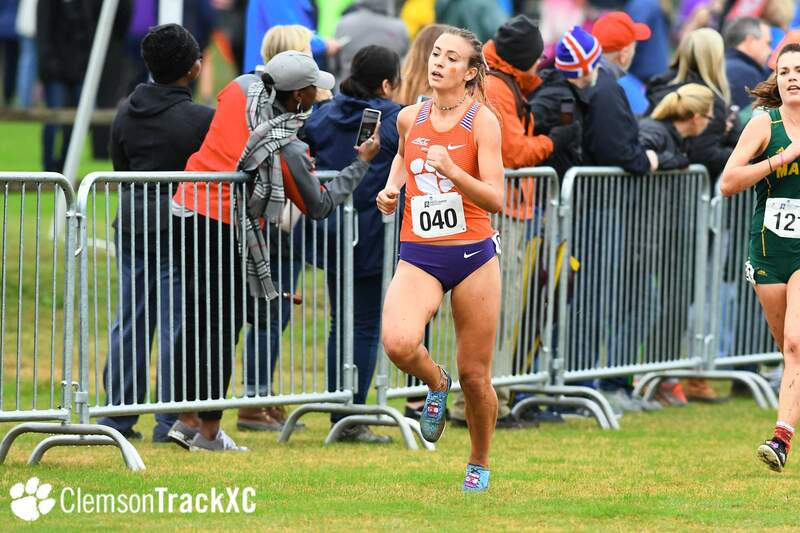 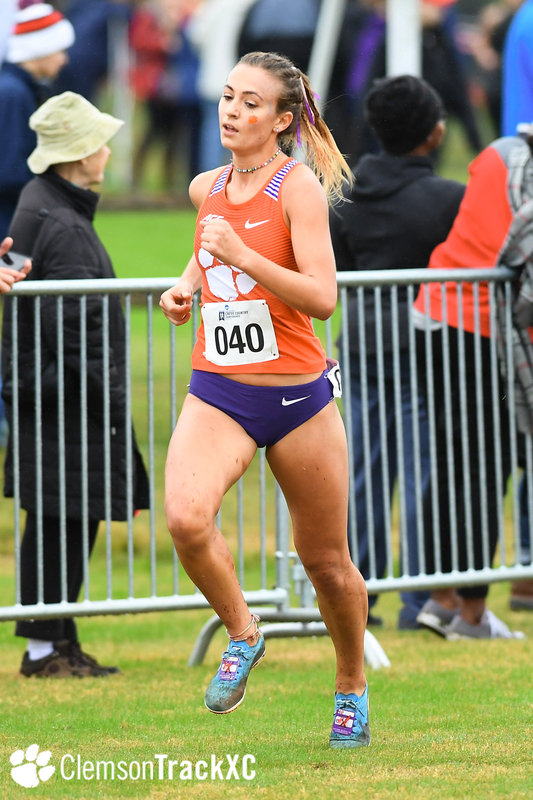 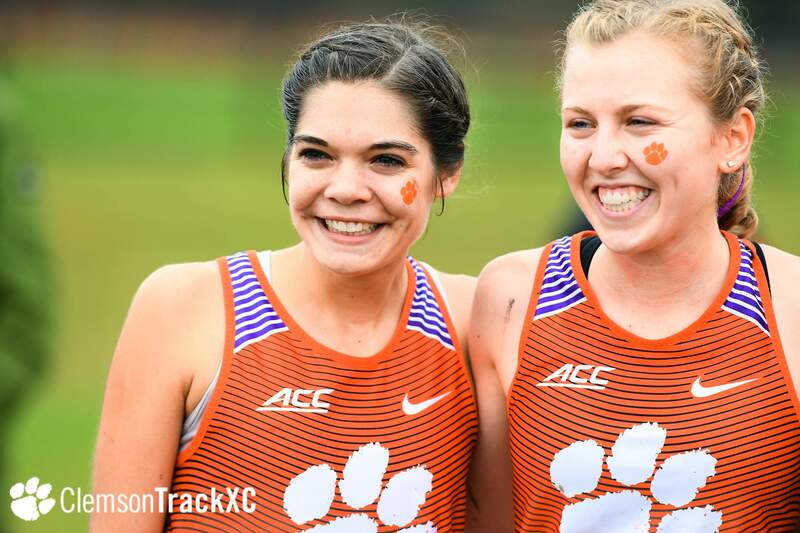 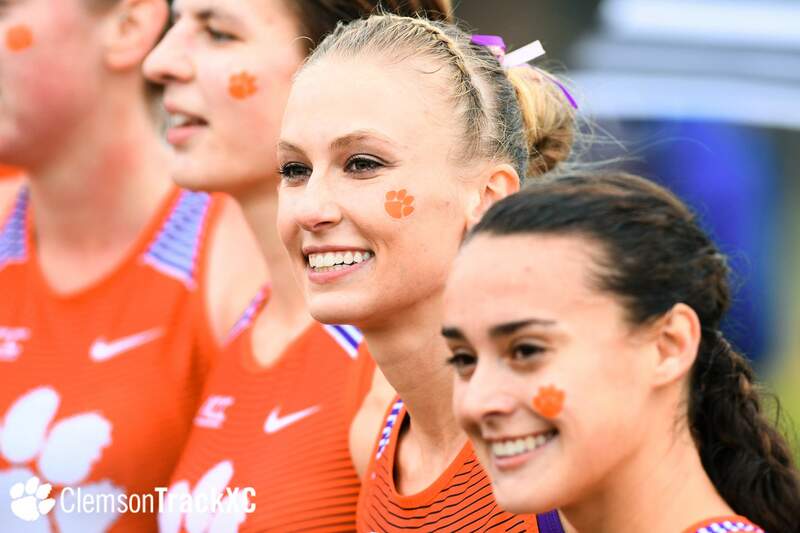 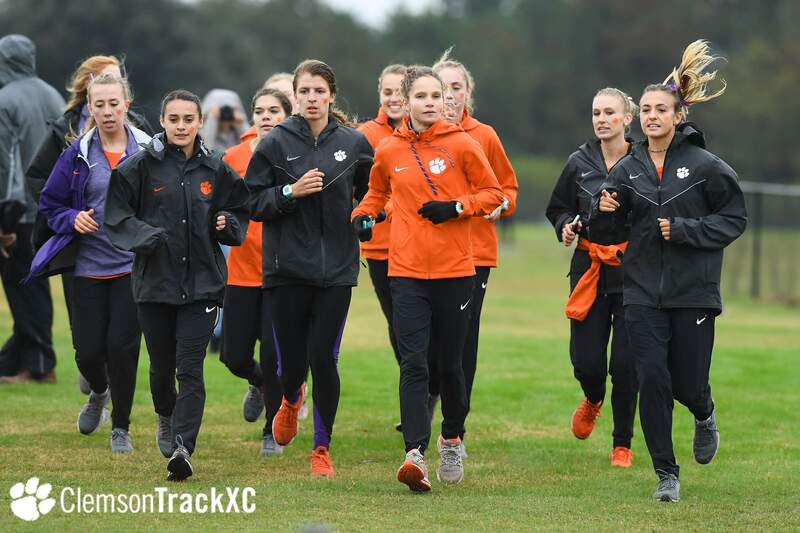 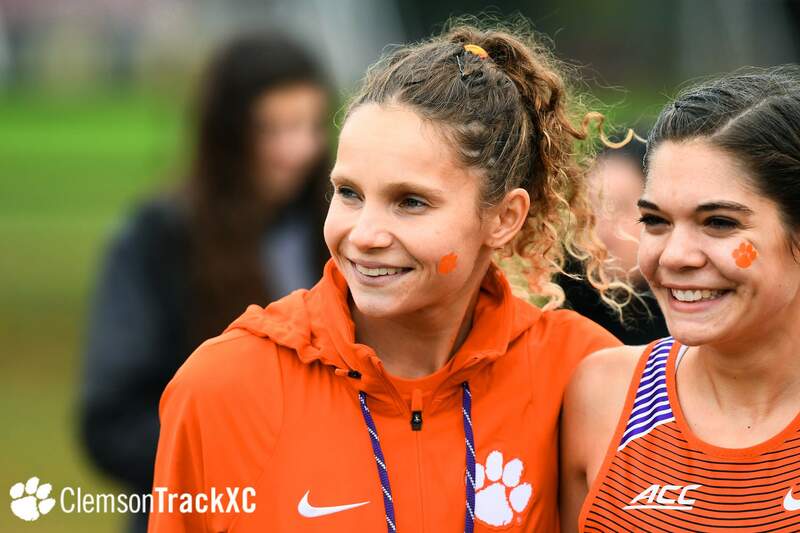 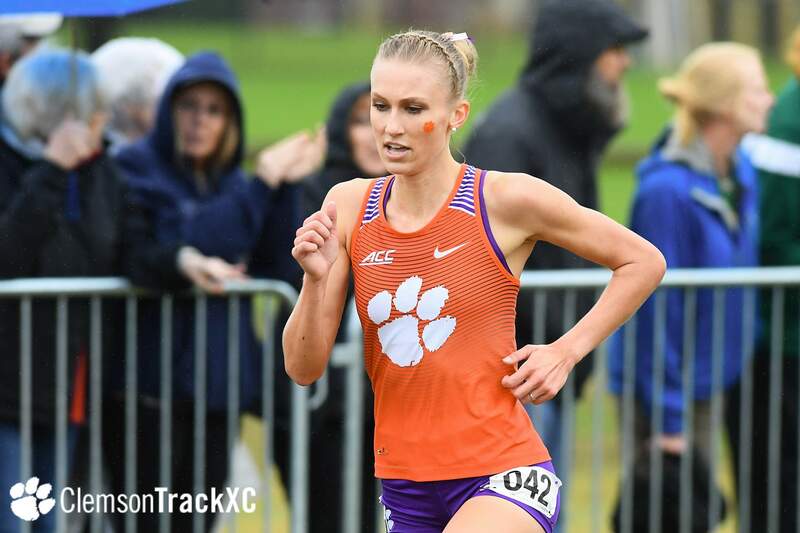 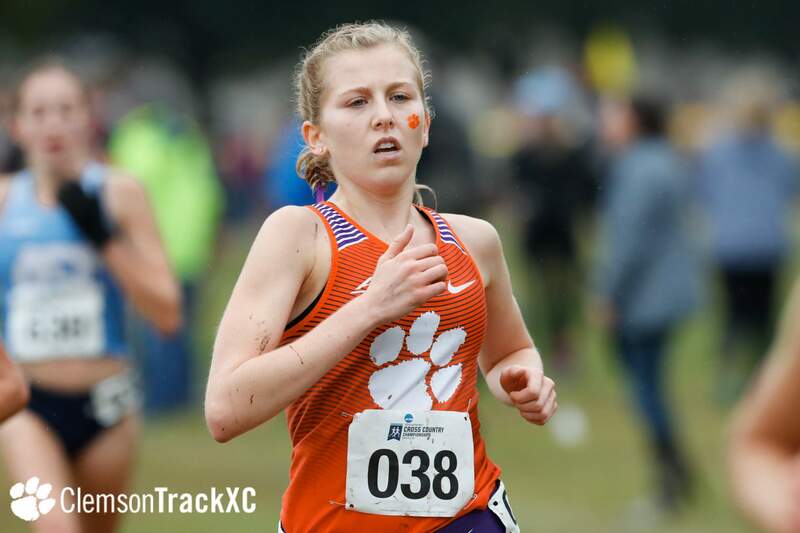 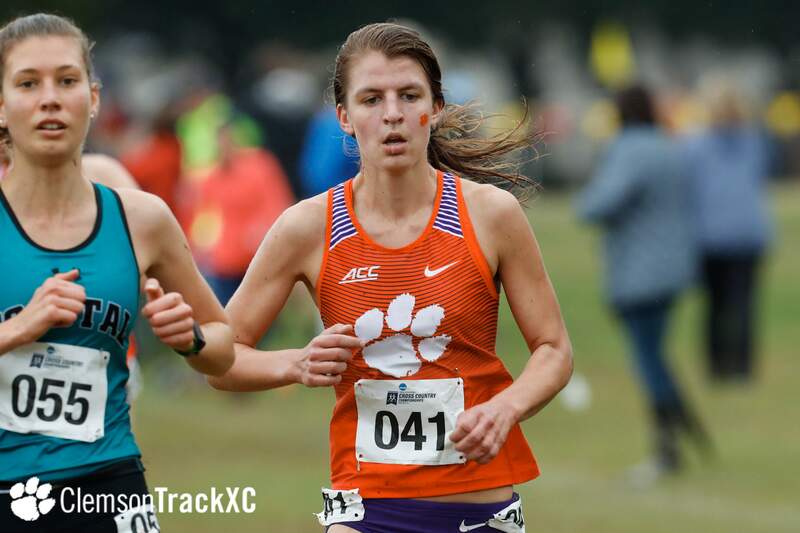 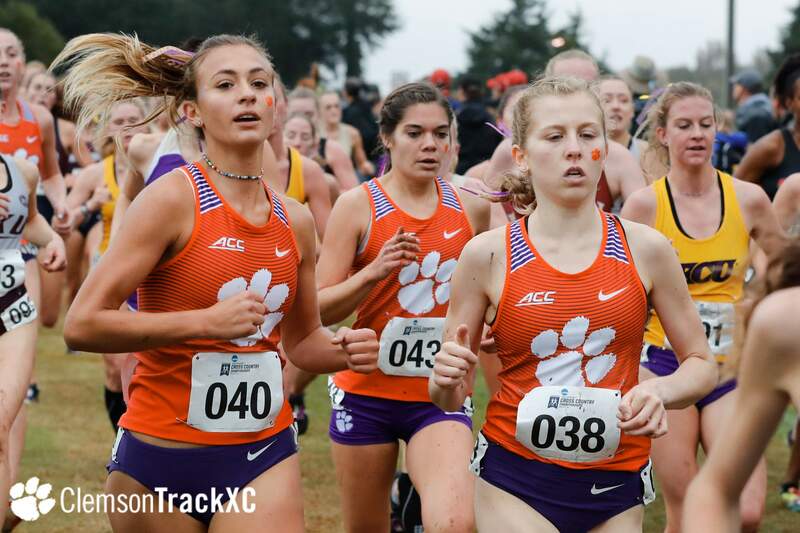 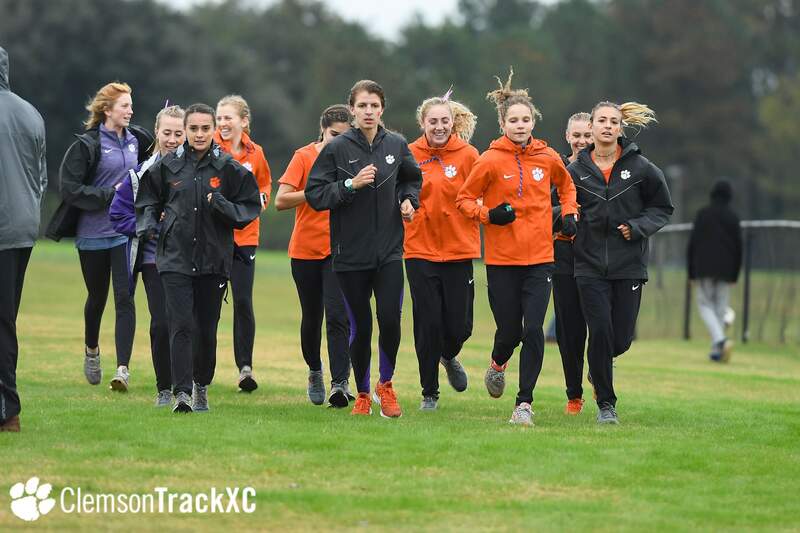 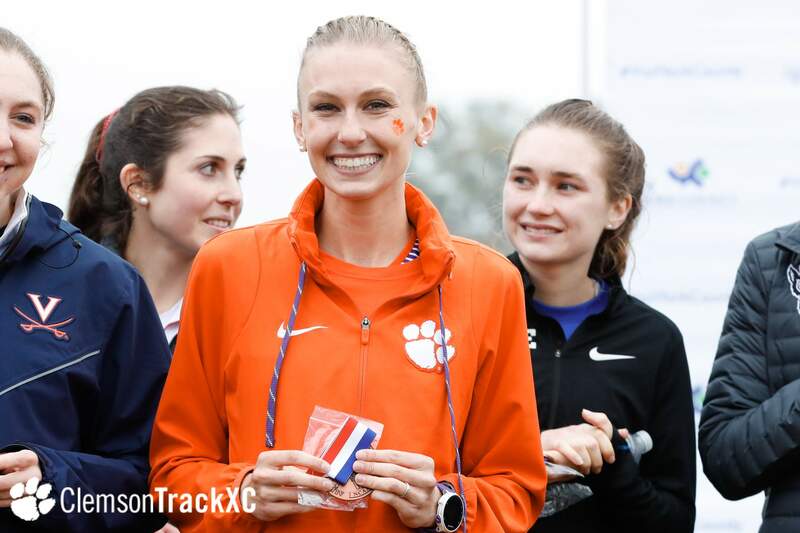 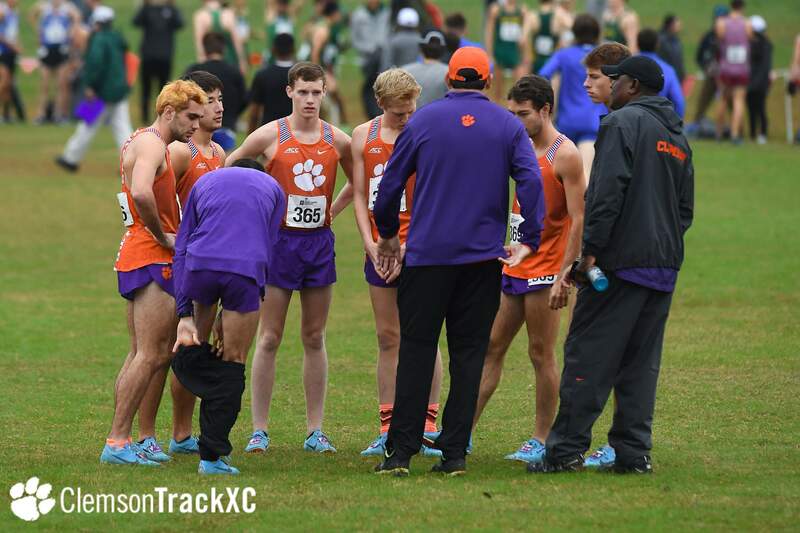 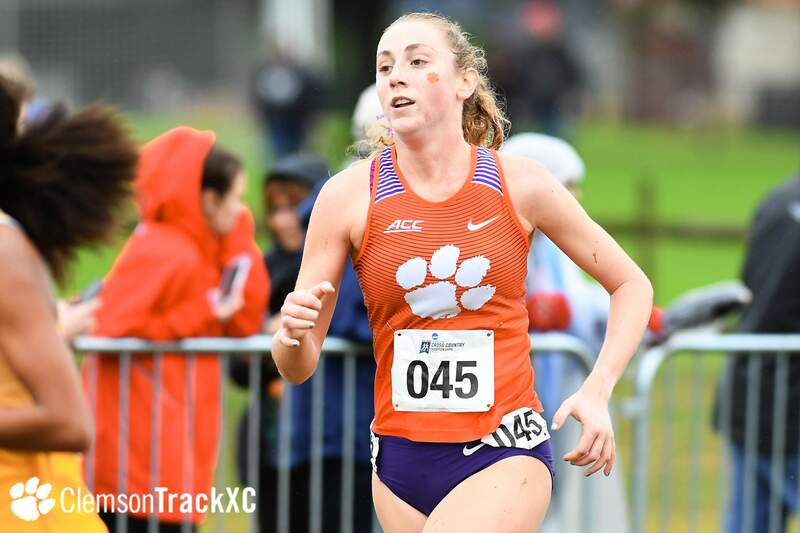 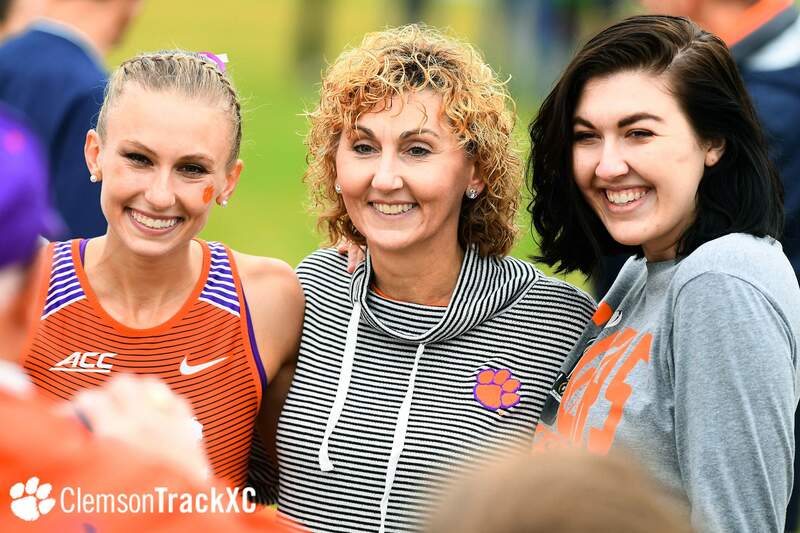 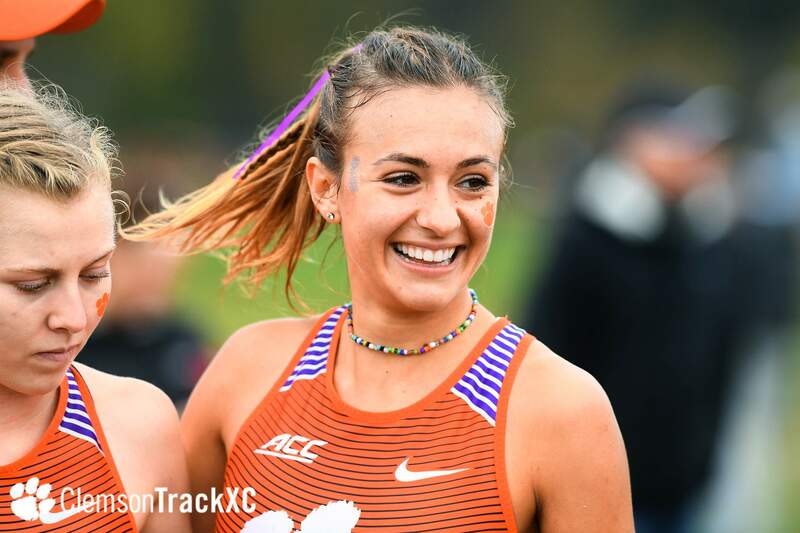 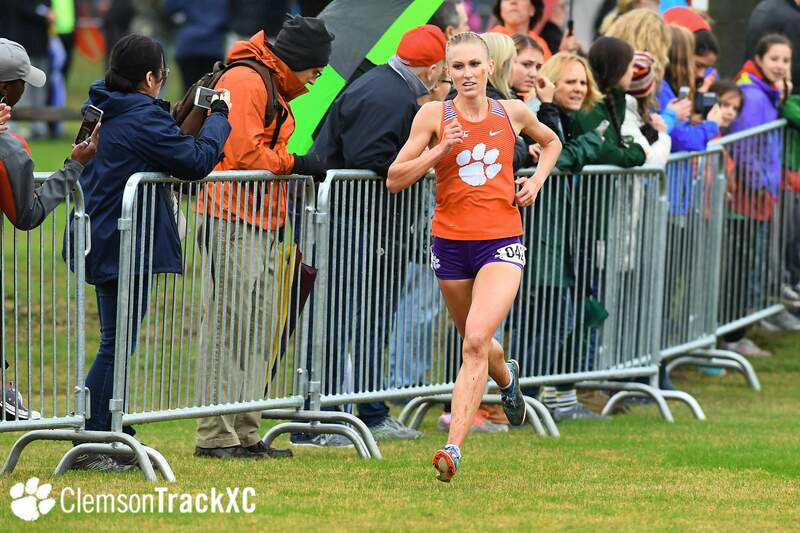 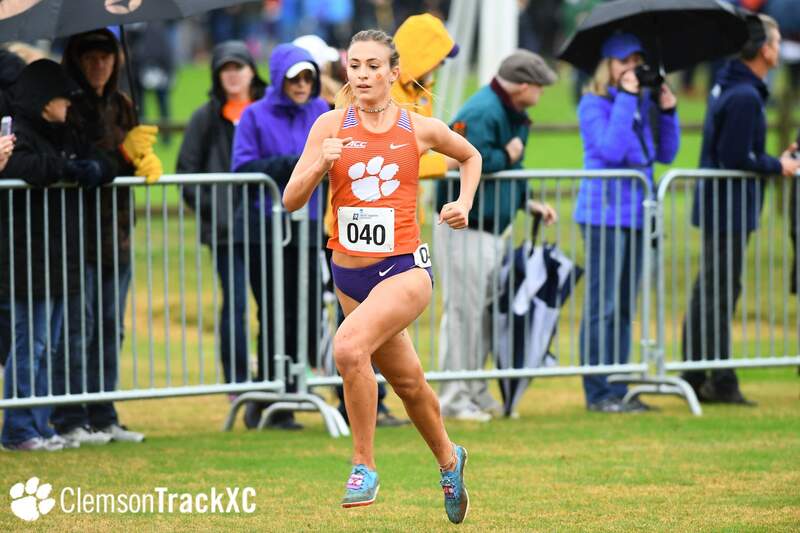 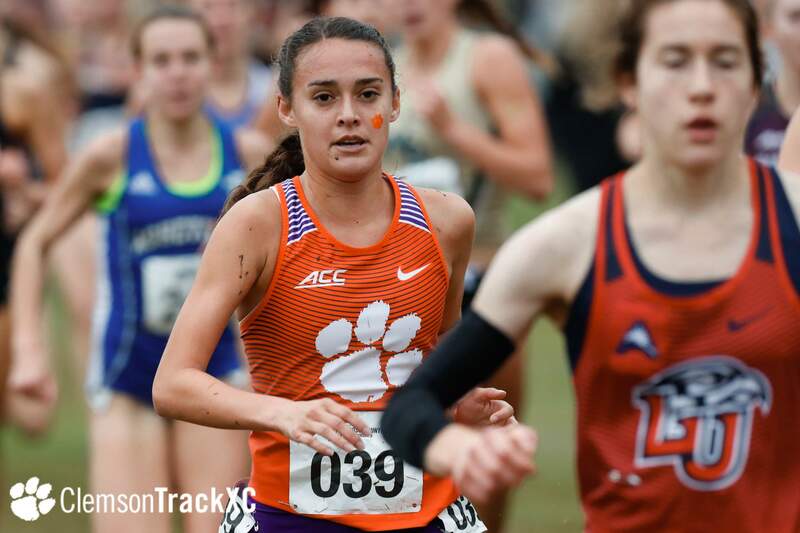 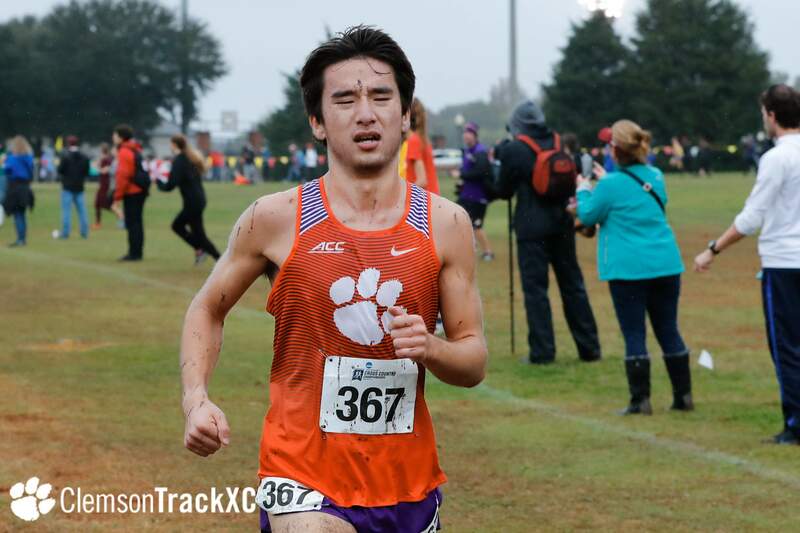 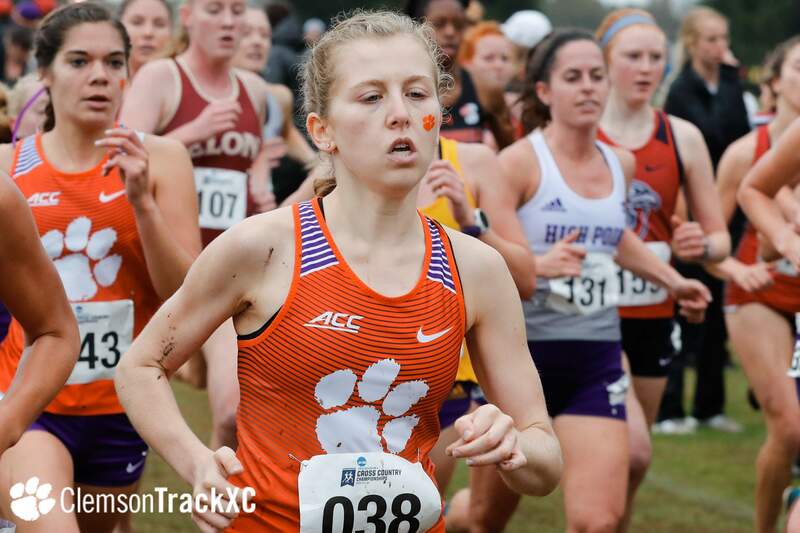 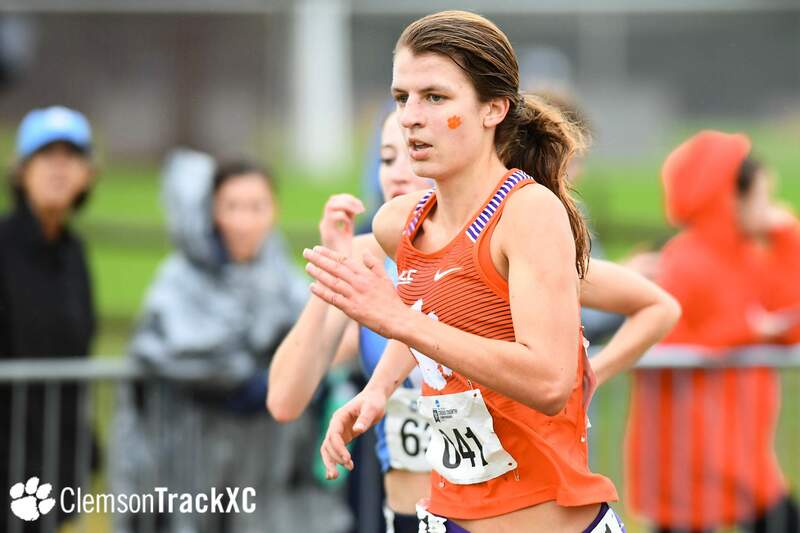 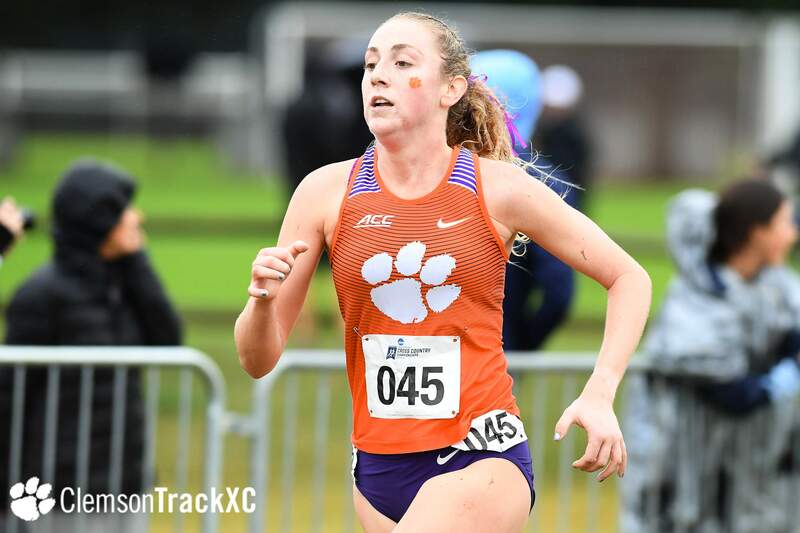 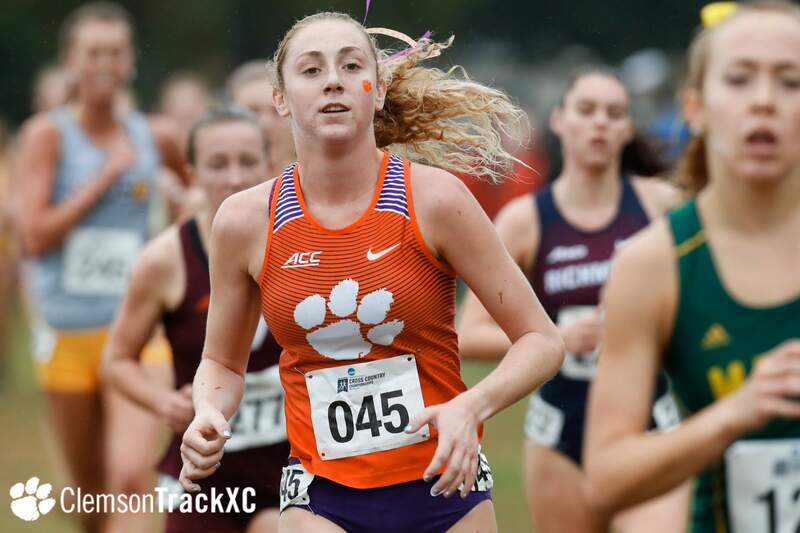 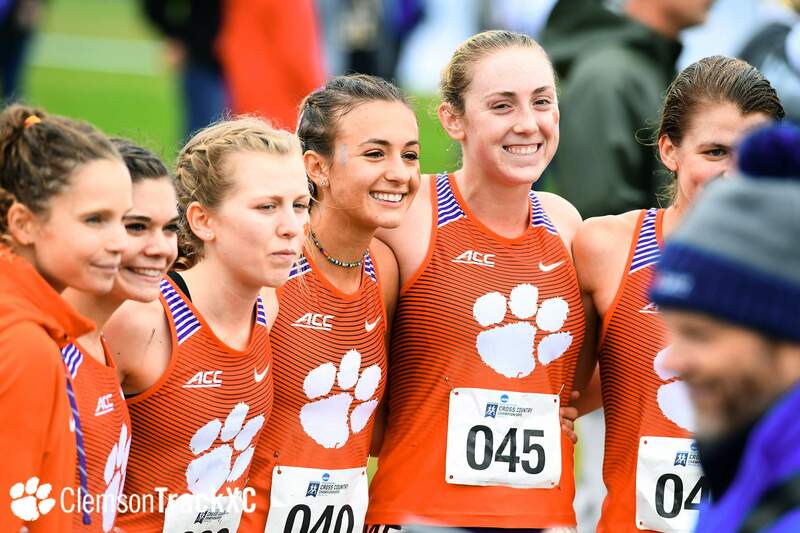 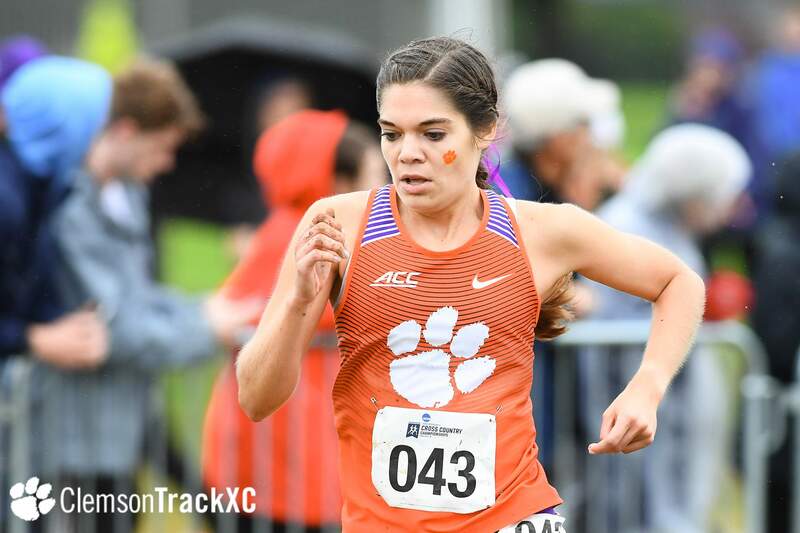 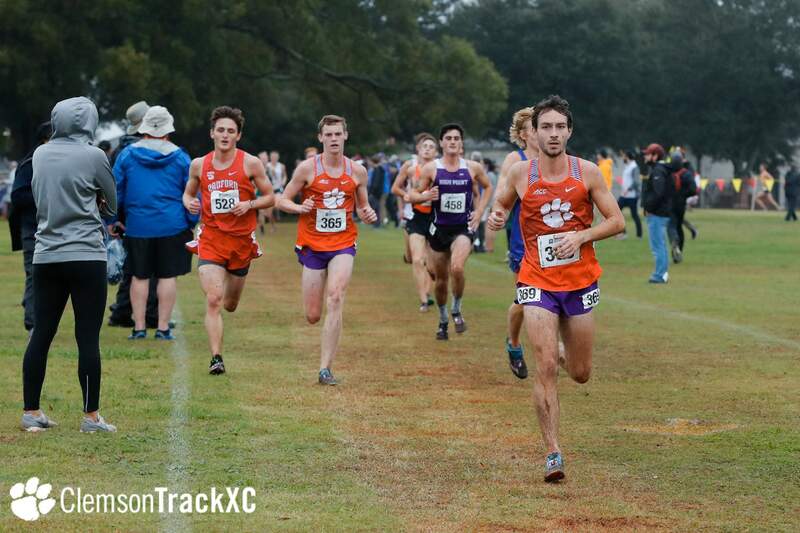 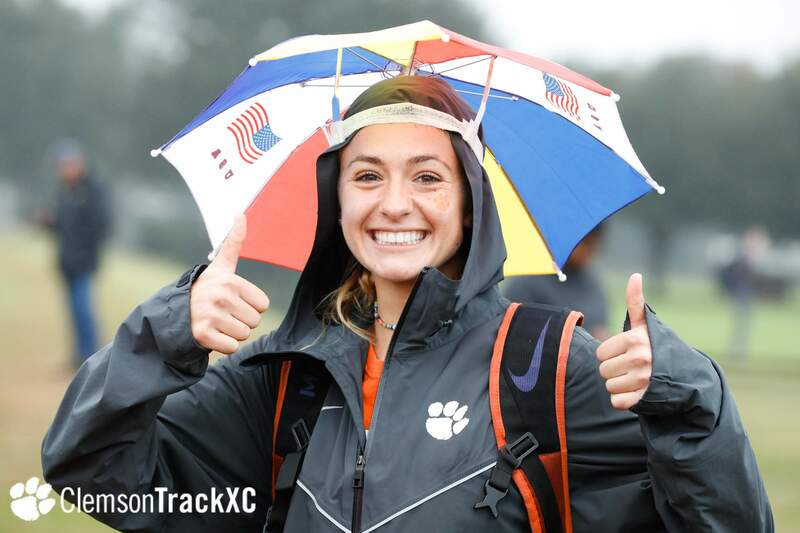 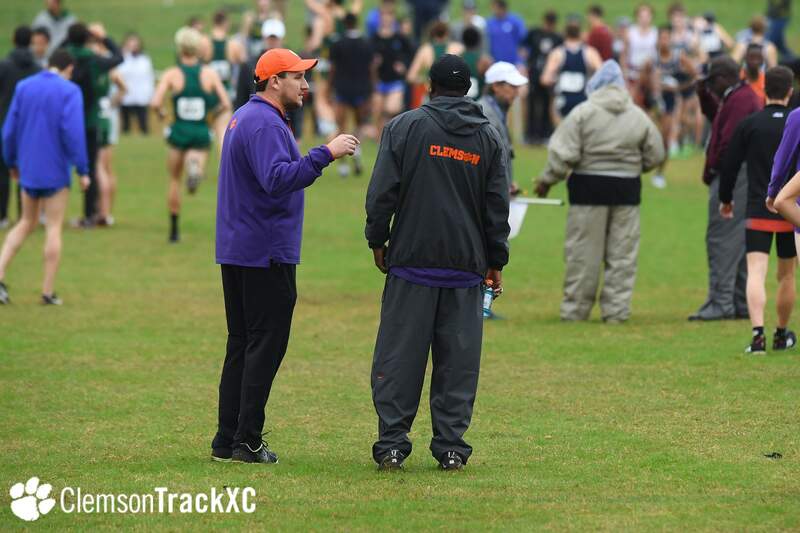 Behind Morris, was senior Elizabeth Dawson, who placed 57th overall and achieved her personal best of 21:17.3 in her final outing in a Clemson cross country uniform. 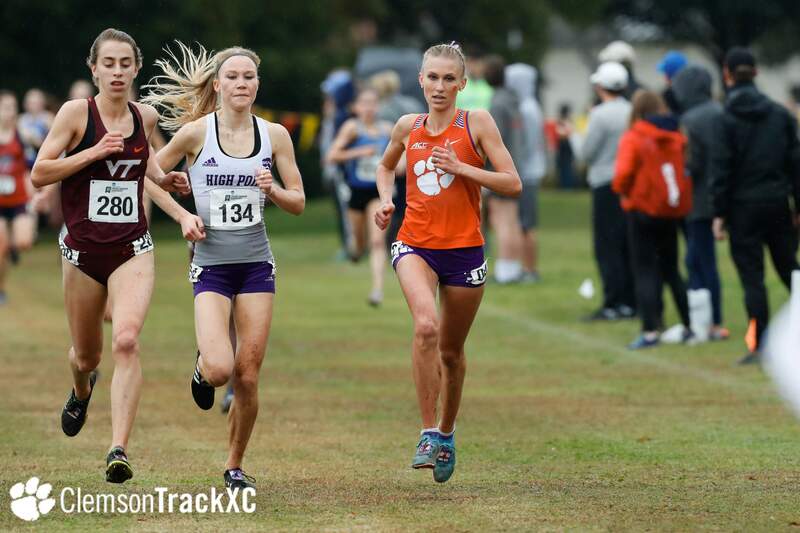 Freshman Riley Coggin had her best meet of the season, turning in a time of 21:19.3, also a personal best, to place 61st. 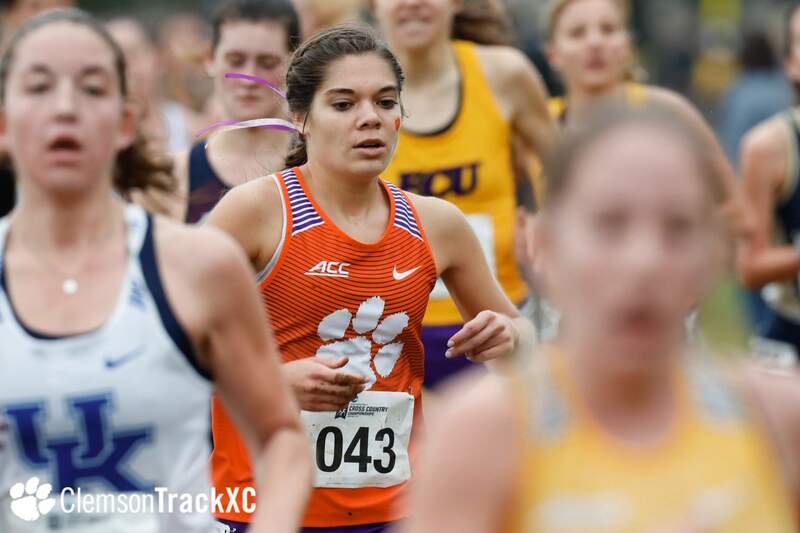 Right behind Coggin, was senior Erin McLaughlin in 67th whose career-best 21:24.8 earned her a 67th-place finish. 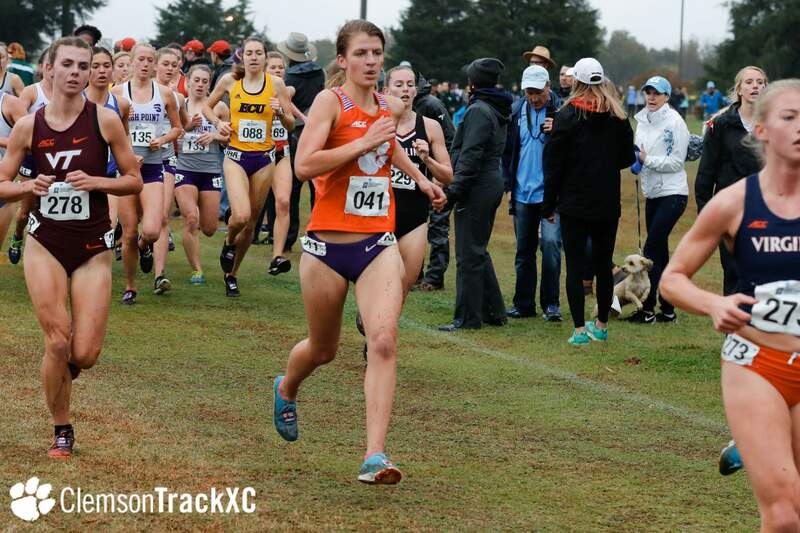 Sophomore Jenna Gearing rounded out the Tigers’ top-5 with a time of 21:32.5 in 73rd. 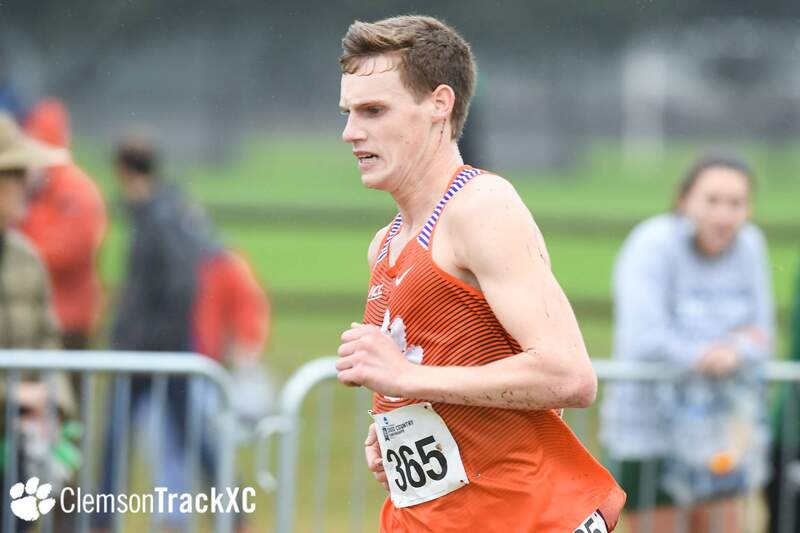 The men were led by John Ward (109th), who crossed the finish line at the 32:23.2 mark in his first-ever 10K race. 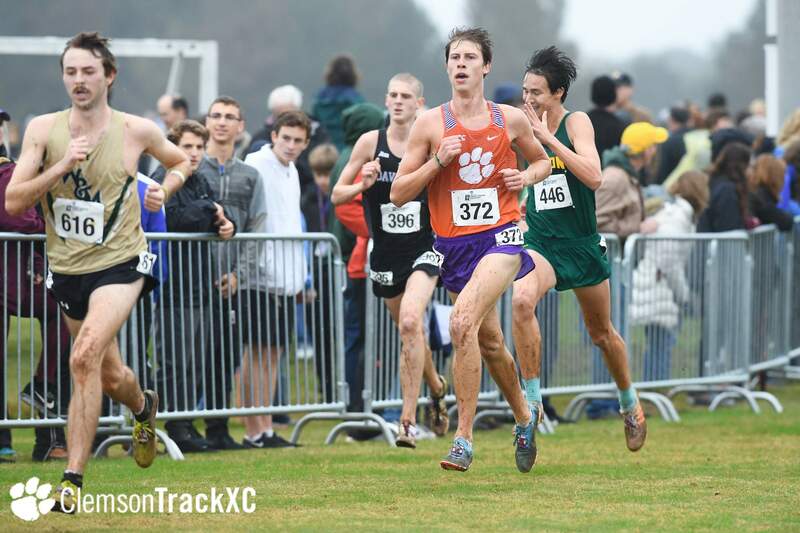 Seniors Jacob Slann (120th) and Jackson Goodwin (129th) completed their races in 32:41.7 and 32:53.2, respectively. 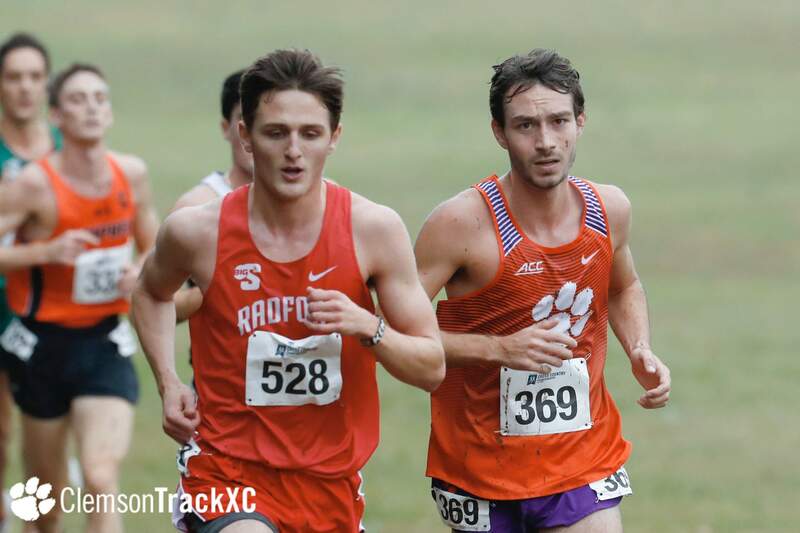 Rounding out the men’s scorers were Michael Smith (132nd) and Colt Griffith (155th) in their first career 10K races. 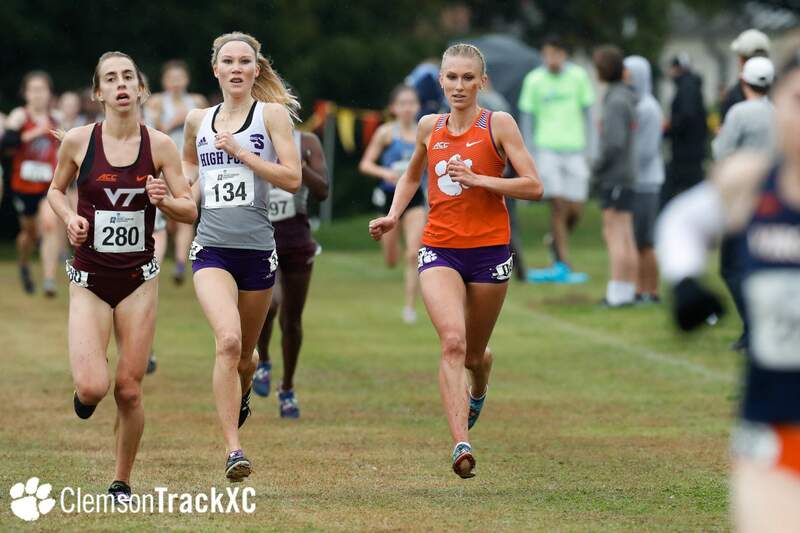 Smith finished in 32:53.2, while Griffith clocked a 33:23.9. 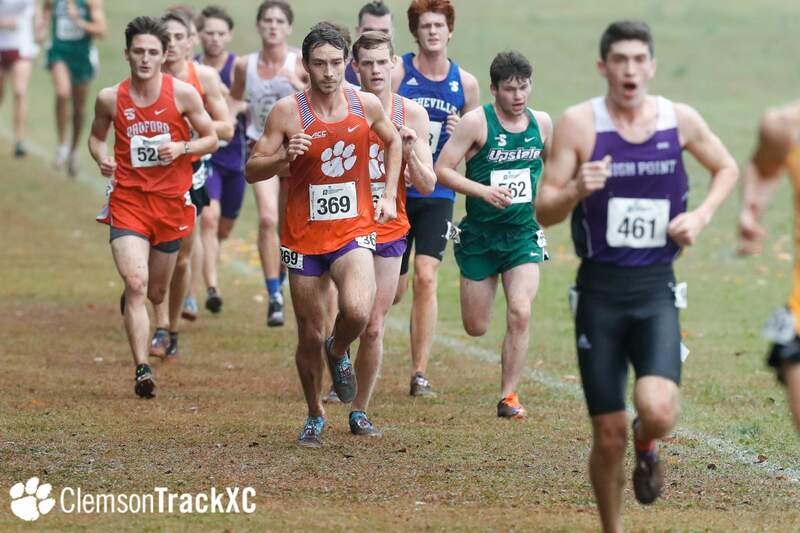 The Tiger men finished in 23rd with 645 points.